CHOICE: Ice Cream Cone OR Salad? So, my husband and I went for a quick dinner at Ruby’s Diner. 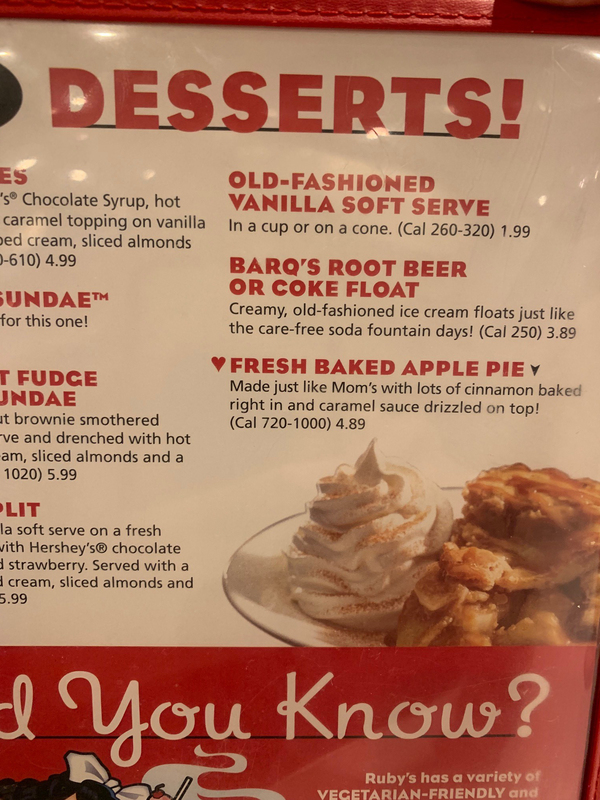 Ruby’s includes a calorie count for all of its menu items. I wasn’t very hungry so I quickly looked at the appetizer section. Well, sheeesh! 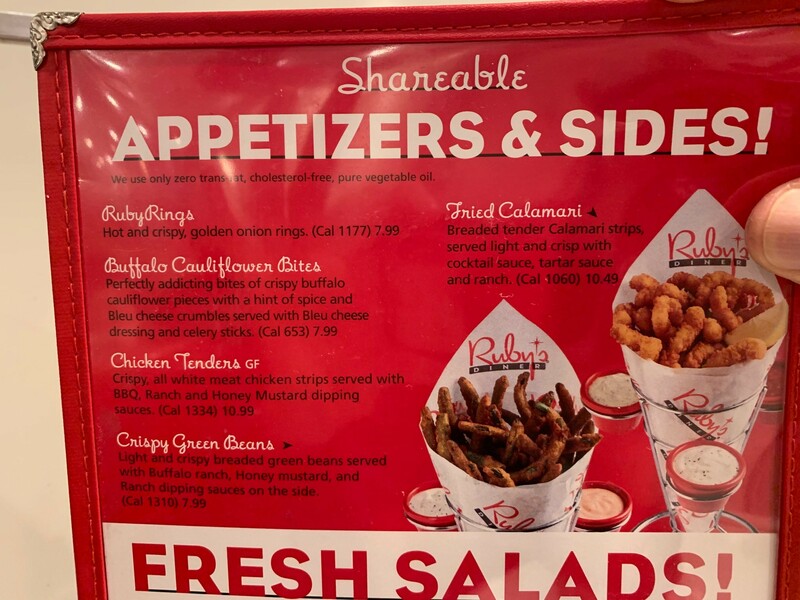 I could have chosen Buffalo Cauliflower Bites for only 653 calories … or all other items were over 1000 calories and all breaded and fried! Yuck, no thank you! So I looked at salads (even though I’d had one for lunch). Again, holy cow! Unless I wanted a tiny, non-de script dinner salad for , most salads were 700 calories or more. 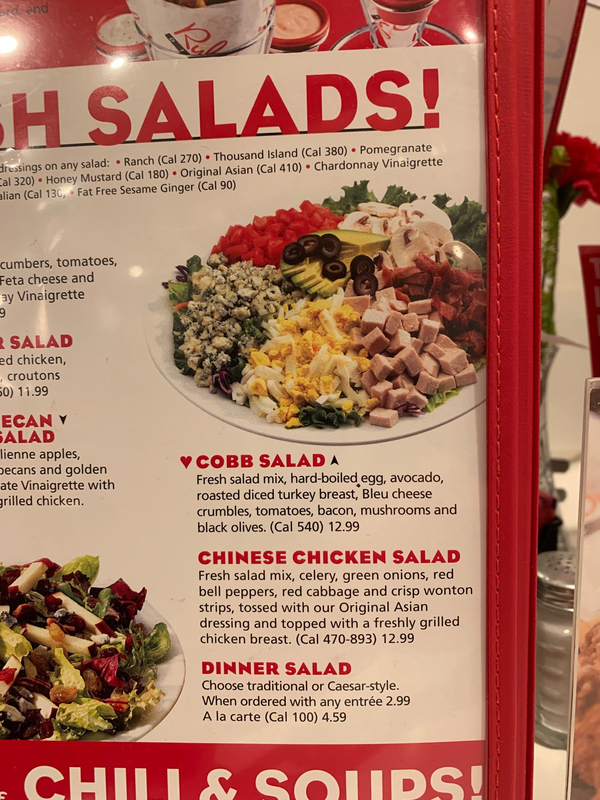 My husband chose the Cobb Salad, 540 calories with Russian Dressing (what, maybe another 300 calories) plus an ice cream shake. It sounded healthy for the salad, though! AHA, then I found it!!! Old-fashioned Vanilla Soft Serve Ice Cream in a cone! 320 calories! IT WAS DELICIOUS! And I didn’t even feel guilty!